One of the most long-lasting aspects of a wedding day will be the wedding photography taken by the official photographer. These comprise the ‘getting ready’ shots, walking down the aisle, exchanging the rings, leaving the church, the reception… every moment of your special day will be caught on camera, and the wedding album will be pulled out time and time again to provide you and your family with reminders of the special day. Your wedding photos have the ability to tell the entire story of your wedding over and over again and rightly so you want them to be just perfect. But if your guests want to take their own photos, how can they make sure they don’t interfere with the official shots? 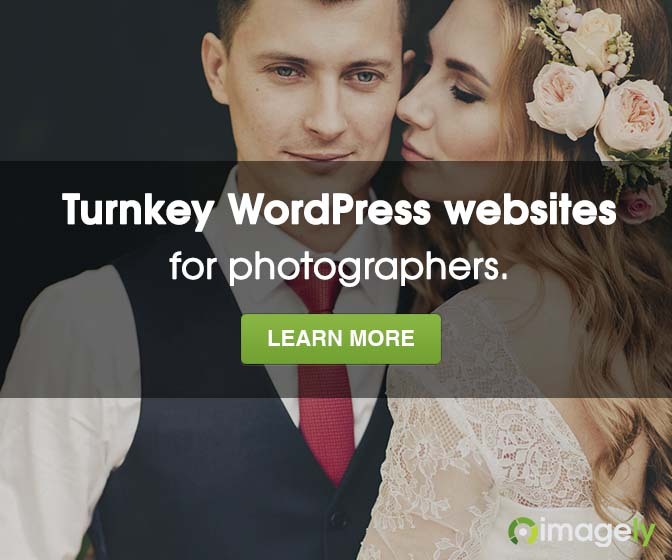 Your wedding photographer will know exactly how to play with the lighting in a photo to make sure everyone looks their best and to capture the right tone. If over enthusiastic relatives are stood on the sidelines taking lots of snaps with blinding flash on, however, this can alter the lighting conditions in the official photos which can completely change the feel of a photo, or can illuminate parts of the scene the photographer wanted to hide in shadow. The photographer knows where he or she needs to be to get the right angle. They may even know the venue or have done some research before your big day which may have included a test visit to the wedding and reception venues to see which angles and light are best for each shot. Even the most well-meaning guest can find themselves in the way, and might find themselves standing exactly in front of the shot the photographer wants to capture. People standing on the sidelines might also cast shadows across the picture, so it’s best to give the photographer a lot of space and to avoid taking photographs in front of the photographer. This is where the guests come in handy. The photographers often have a checklist of shots they need to get, and they need to make sure they have all the formal shots and all the major parts of the day covered. As a guest, though, taking photos isn’t your job, so you have the luxury of taking pictures of just about anything. Noticed a particularly pretty flower display on a table? Take a photo. Is there one unexpectedly talented dancer at the reception? Capture it. You’re able to take your time over picking up some unusual shots of the natural, personal moments going on amongst the guests which can provide a great way for the bride and groom to remember their day. The happy couple may have even supplied disposable cameras for their guests to use which they will subsequently have developed themselves to enjoy those little moments that each guest has deemed worthy of a photo. But be warned, you often get more than you bargain for when you do this as guests may take it as the perfect opportunity to give you a few “surprises”! Guests can often capture some great photos of the big day, but these should complement the professional shots rather than aim to outdo them. All the pictures from the day are valuable to the happy couple, so don’t feel like you need to compete to get the best photos, just make sure that between you all, everything that needs to be caught on camera is, with fun and flair. You may find that once everyone is in place for the important shots the official photographer will take their shots and then give guests the chance to take their own so that they do not interfere at all and thus everyone gets a chance to capture those once in a lifetime moments! Krishanthi Williams is a contemporary wedding photographer based in London and offers pre-wedding and wedding shoot packages for clients in and around London and the home counties and internationally. What ever you do, please do not get so competitive that you end up getting in the way of the official photographer getting the shots he/she needs to get the job done.